What is the Design | Build Process? Design | Build means you can breathe easy knowing that your project is under strict supervision from start to finish. We typically begin by going through an exploratory process with our clients, discovering all of the interesting things about them and how we can make their project unique, special and functional. We then develop a set of working drawings based on needs and wants that were established during the exploratory phase. The next step involves establishing pricing and a construction timeline. In a nutshell, we design it, we build it, we guarantee it and you’ll love it. Having a plan is a fantastic way to start. We are more than happy to bid on an existing design. We do insist that a design is fully developed in order to give the most accurate cost estimate. Having a complete design is crucial to avoiding cost overruns due to a lack of complete information. As part of our initial consultation we will review existing plans and make a determination as to whether more information is needed for us to give a truly comprehensive estimate. Can I do my project in Phases? Phasing a project is often one of the better ways to reduce initial costs. While the overall project cost will be slightly higher in the long run, phasing the project the right way will eliminate the need to undo part of previous phases in order to finish the project at a later date. Every project we do is unique, dynamic, exciting and challenging. During the initial exploratory phase of design we will make an inquiry regarding your budget. Large or small, we work hard to design a project to fit inside this budget. We are upfront and honest about cost. If your budget cannot meet the desires of your heart at the moment, a phased project may be just the ticket. It should be noted that if you are simply looking for the lowest price we will seldom fall into that category. We pride ourselves on our work, our design aesthetic and our professionalism. In general, for new residential construction a budget of 10-20% of the home construction budget should be laid aside for landscaping if possible. For instance, to compliment a $250,000.00 home a landscape budget of between $25,000.00 and $50,000.00 is necessary. These are not hard and fast numbers, every project is different. Landscape Renovations, like some in our gallery of work, take far more planning and strategy to execute effectively. Material costs may be slightly less, but labor costs can be more because of the skill and maneuvering involved in saving portions of the existing landscape. We have worked on projects ranging in price from $500.00 up to $500,000.00. Can changes be made during construction? Landscape construction is a fluid process. Often it just takes getting the project started before our clients realize they would like to add something or perhaps change something a little. For example, your plan may show a square patio with no fire pit but as we get under construction you decide perhaps you would like some curves in that patio and a fire pit on the edge. NO PROBLEM! We simply meet you on site, map out the changes and create a change order. It’s as simple as that. Remember, it’s your property, you’re project, and you get to enjoy it. Make the most of it. We’re happy to oblige. Can I hire Terrabella on an hourly rate? 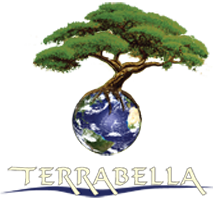 Does Terrabella Inc. provide a warranty? Most jobs we do come with our written warranty. You can rest assured that we’ll be there to take care of you in the future.